Slow down for the bump, or Oxford Kitchen Yarn’s holiday. 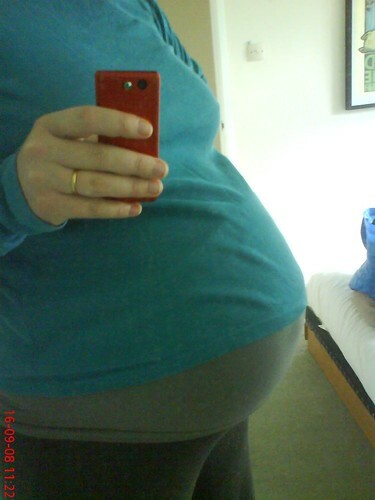 As of last Sunday I’m at 37 weeks, which means that the baby could come anytime in the next five weeks. With this in mind, and given how much I seem to be capable of getting done at the moment (ie. less and less), I’m going to temporarily close the shop from the end of this friday, (19th September). I’m sorry this is short notice, but I’m just concerned that things are going to get really messy if the baby comes early, and people are still able to put orders in. I would rather the shop wasn’t open, than someone put in an order and – in a worst case scenario – got radio silence from this end for a number of days. I know – if I was that customer – I wouldn’t be happy about it. I’m hoping to get the shop open again with new stock, before the end of November, but again, it depends when the baby arrives and what’s going on here. But I’ll make sure to keep everyone informed. I really appreciate all your support over the last year or so in particular. I’m looking forward to getting things up and running again. ← Custom Orders and what happens to Oxford Kitchen Yarns Over the Next Few Months. Thank you! I’m hoping to get the shop open (at least with the current stock available), by the beginning of December. Wow! Congratulations on this next exciting step in your life. I’ll be sending you all my best thoughts for a smooth and happy birth – and I’ll definitely be back in December. Just finished a pair of socks in your yarn and wanted to say how lovely it is.